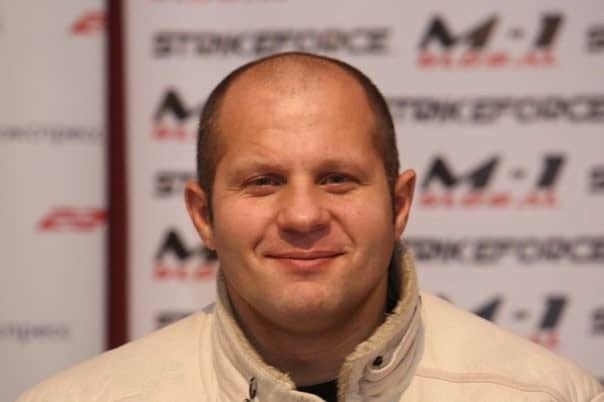 As the MMA world awaits the official confirmation of the great Fedor Emelianenko’s opponent for his return bout at New Year Eve’s Rizin Fighting Federation (RFF), it appears that the promotion’s initial plans have been overruled for the time being. A report surfaced earlier this year that “The Last Emperor” was surprisingly taking on kickboxer Jaideep Singh, who holds a 2-0 MMA record. Singh was last seen beating Carlos Toyota with a second round TKO at October 17’s Deep 73 Impact. Despite winning the vacant megaton title in a fight he took on three days’ notice, Rizin officials were not impressed with Singh’s performance according to a report from MMA Fighting. The impromptu fight was booked to make him look impressive so he could face Emelianenko, but apparently they felt Singh looked out of shape in victory. That translated to difficulty in promoting the match to the Japanese MMA fans, something that they obviously have to focus on in the main event of their first-ever show, which features a three-day extravaganza of fighting culminated in Fedor vs. his yet-to-be-named opponent. And they want to do so with an opponent that is popular with the Japanese fanbase more than anything else, as the 28-year-old Singh was thought to have just that with his half-Japanese background and victory in the K-1 World Grand Prix in Seoul. However, now names like former UFC heavyweight Shawn Jordan, whose contract expired after his last fight, recently retired UFC vet Soa Palelei, and even long retired UFC legend Randy Couture have been thrown into the mix. 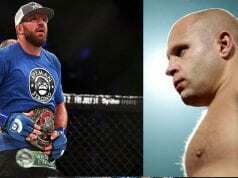 Who do you think Fedor should face in his first bout in over three years?